Ghost Recon Future Soldier looks as if its finally going to see the light of day this May. The four player co-op game has been a long time coming and after our hands on impressions with it at E3 last year, we couldn't be more excited for the first Ghost Recon game in years. Like any game these days, if you want to get the "entire package" it all depends on where you pre-order from - as most retailers offer exclusives as an incentive. Amazon is first with their pre-order offer. You get the Drilling Ship co-op map with your pre-order along with $10 credit towards another video game purchase. Gamestop is offering a co-op map called Moscow Suburb for those that pre-order as well as a free upgrade to the "Signature Edition" which includes two weapon skins and access to the game's beta. 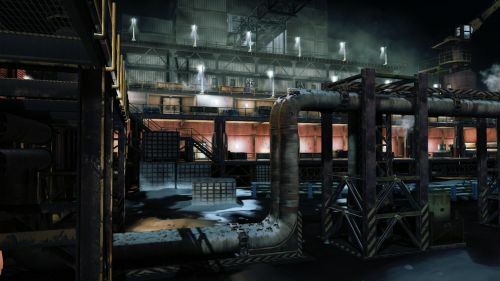 Most likely these maps are going to be available as paid DLC when the game launches, so it's a pick your poison kind of scenario. The latest developer diary for the game has been released and it showcases the game's animation and cover system. The focal point? 2500 character animations captured from actual US Navy Seals bring some pretty realistic looking character movements. Ghost Recon Future Soldier ships with 12 co-op missions from the game's single player campaign. You can play these missions in split-screen with another player or online with four players. It'll be out on the Xbox 360 and PlayStation 3 on May 22, 2012. The PC version will follow shortly after. Page created in 0.2561 seconds.